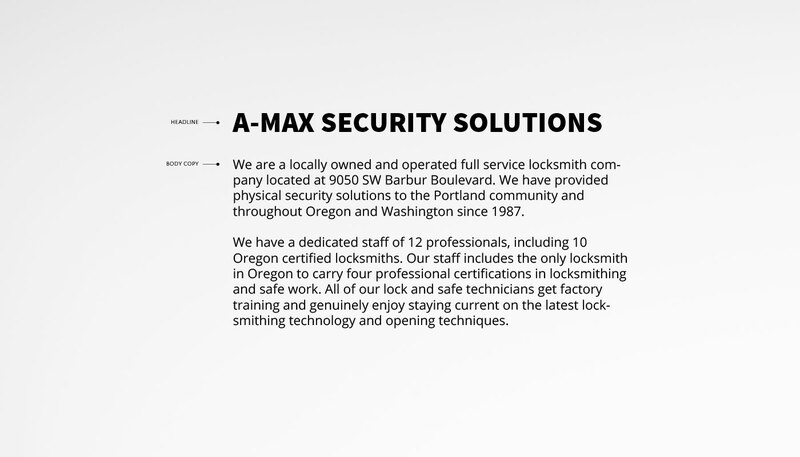 A-MAX Security Solutions is a full-service locksmith company that has provided services throughout Oregon and Washington since 1987. 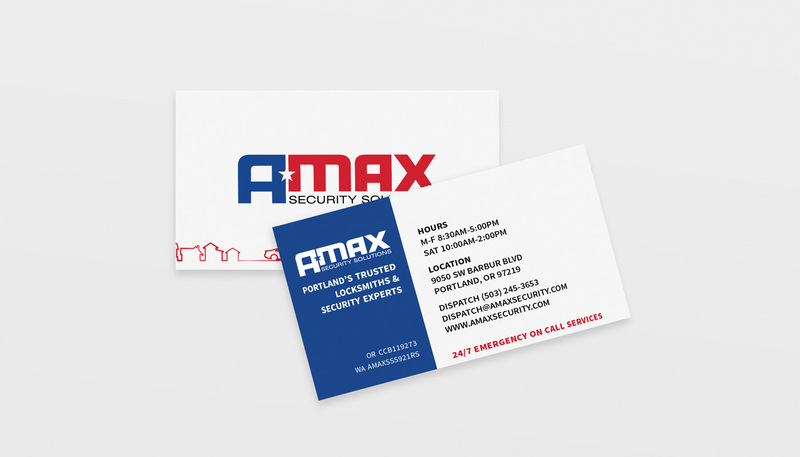 One Plum Design worked with A-MAX Security to redesign their website. The owners wanted to update the look and feel of the site and reinforce their existing brand identity. They wanted to optimize their website so mobile visitors could easily navigate their site, learn about their services, and contact them for estimates. 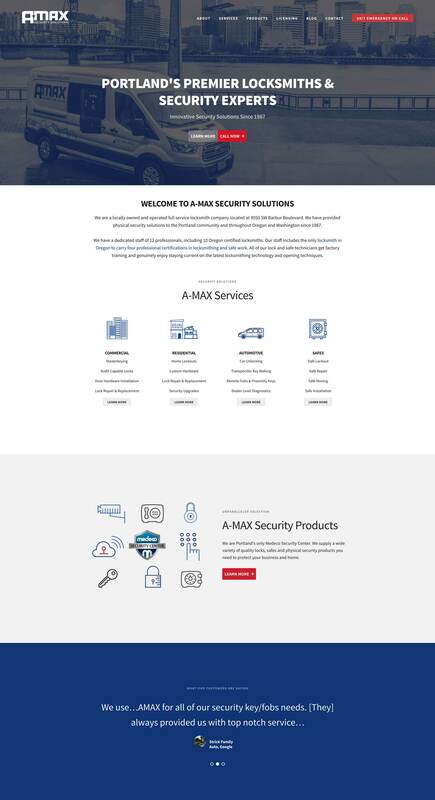 A-MAX wanted their website to help address the challenge of competing with a number of unlicensed and under-qualified locksmiths who work for unscrupulous out-of-state companies. 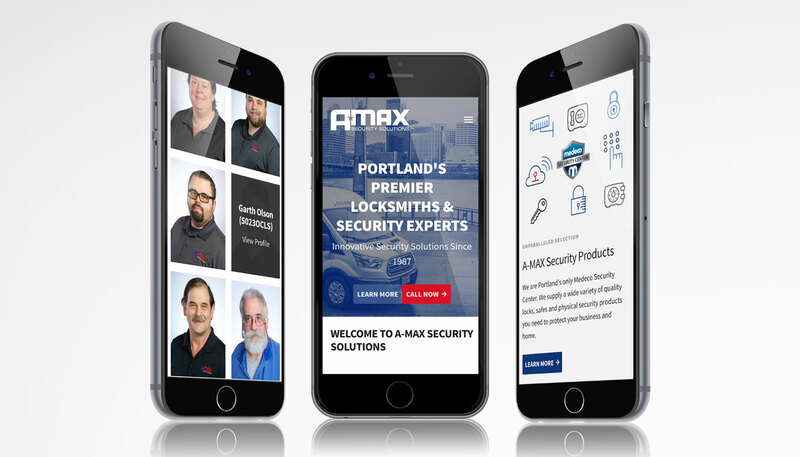 We worked with A-MAX to highlight their Portland location, advanced certifications, licenses, and reputation. The project scope included copyediting, website styling, WordPress theme customization, print designs, and professional photography. Photography services were provided by Tojofotos and Naim Hasan Photography.